Getting older comes with a whole lot of happy perks, but it can also be followed by a handful of undesirable health issues. Because we have our adult teeth at such a young age, it is common for people to have problems relating to their oral health. Chipping, cracking, loss of fillings or even post root canal treatments can lead to the need for crowns and bridges. The anatomy of a tooth can be divided into two parts – the root and the crown. The crown of the tooth is the part that is visible from the gum-line up, so when patients need a crown, this is what dentists are referring to. 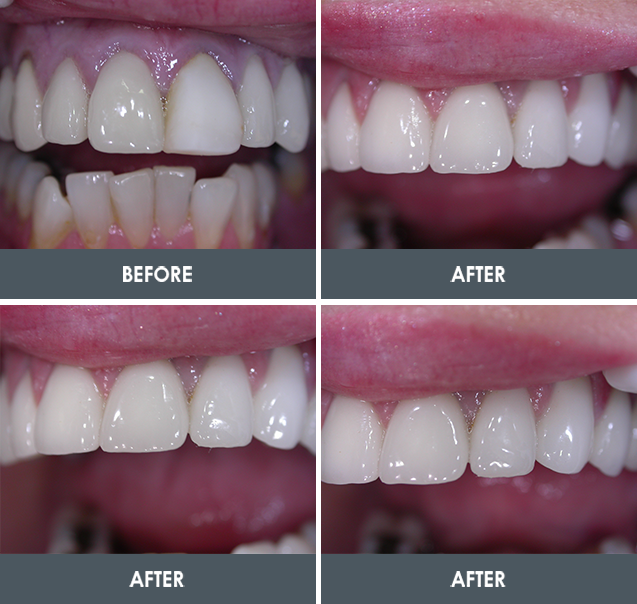 A crown is appropriate in both cosmetic and restorative treatments. Commonly used to repair a tooth, a crown is fabricated from different materials (generally tooth coloured porcelain) and is cemented to the surface of the tooth to add strength and provide a complete, natural-looking alternative for the original. Why would you need this treatment? Bridges literally bridge the gap created by one or more missing teeth. They use an anchor-like style to replace one or more missing teeth. The bridge consists of a crown or multiple crowns and provides natural looking replacements to help your gums appear as usual. Traditional bridges – with a crown designed for the teeth on other side, the centre missing tooth is held securely in the middle. Cantilever bridges – used if there are only teeth to one side of the missing tooth. Maryland bonded bridges – formed from prosthetic teeth and gums on a metal support, with metal wings on either side of the bridge bonded to the natural existing teeth. Alternatively, patients may decide to get dental implants instead of bridges, but all concerns about the different treatments including crowns and other dentistry work will be properly discussed in you appointment at Family Dental Clinic – West End.